Natrural wall paint in powder form: This solvent-free white, satin mat wall paint is suited for (almost) all wall surfaces inside: woodchip wallpaper, loam rendering, gypsum plasterboard, concrete, brickwork, lime and cement rendering, lime sand brickwork. 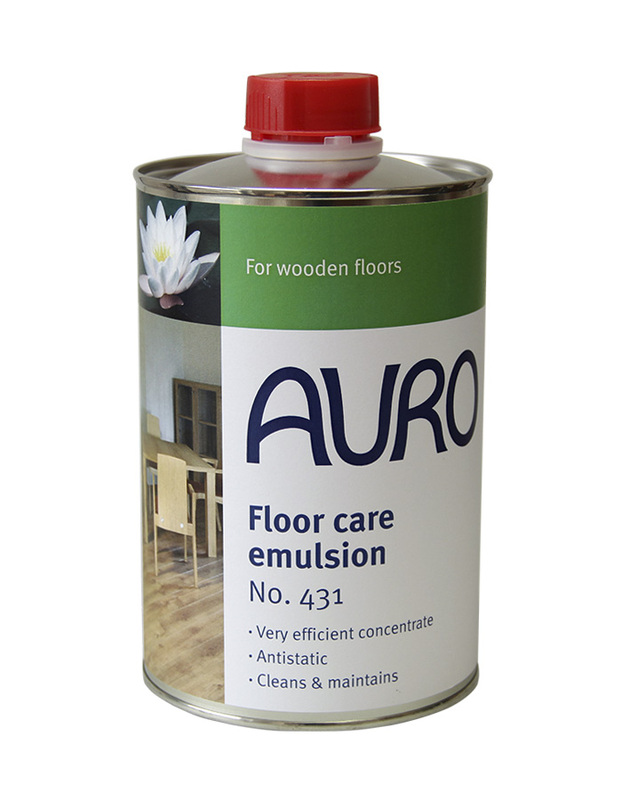 Not suitable for damp rooms. Just mix with water, preferably with a paint stirrer attached to the drill. 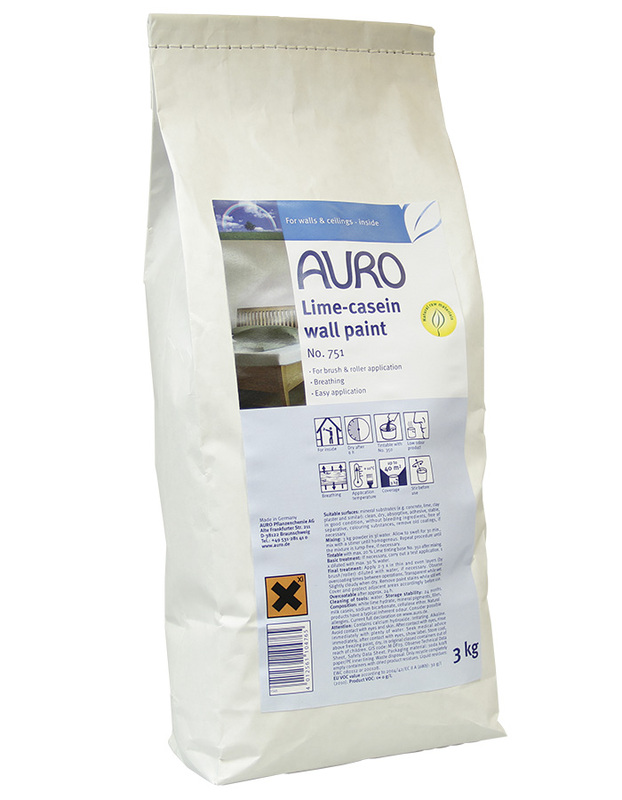 If you want to add some colour: The ready-mixed paint can be tinted with Auro Lime tinting base no. 350. Stir 3 kg powder in 3l water. Allow to swell for 30 minutes and stir well with a paint stirrer. Apply 2-3 coats, allowing for 24 hours of drying time between coats. Carefully cover adjacent areas. In wet state, the coating appears transparent but dries up to a slightly cloudy, white surface. 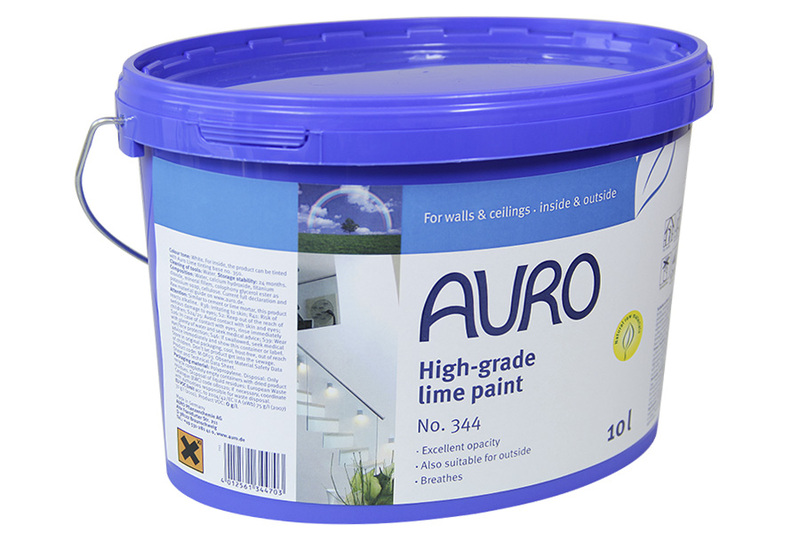 After mixing, the paint can be tinted with up to 20 % of AURO Lime tinting base No. 350.